Mission for Vision has been given access to equipment that would provide what is necessary to effectively run eye clinics to a high standard. 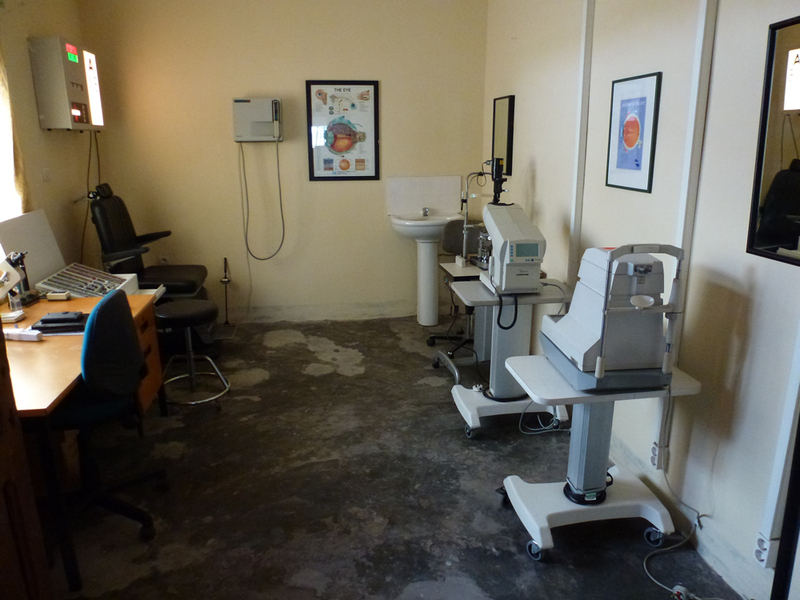 The equipment initially includes, slit lamps, trial lenses and trial frames, charts, fields screeners, and tonometers. The clinics will incorporate a glazing laboratory and Mission for Vision has developed a machine adapted for this program that will enable glasses for the correction of refractive error to be made on site. This would provide an income that will help to ensure the clinics are abel to sustain themselves. A variety of spectacle frames of different shapes and sizes shall be made available and stocks of single vision lenses will be kept on site which can then be cut to the frames once the correct prescription has been ascertained.